Show your support for The Fit Girl Rules everywhere you go when wearing one of our logo trucker hats! 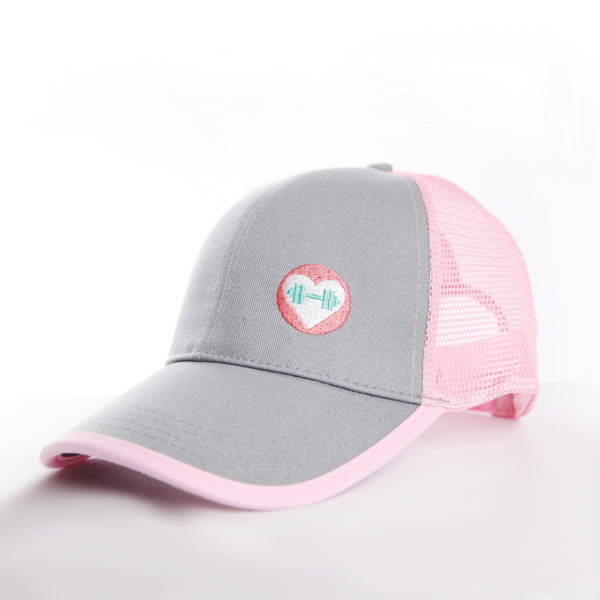 With a soft grey fabric panel in the front as well as down the bill and your choice of a pink or green mesh panel in the back and along the border, our trucker hats for women are a fit girl essential. The size of these green and pink women’s trucker hats are conveniently adjustable, which means one-size-fits-most. Pair these with a cute tank top and shorts while out and about running errands or wear them when hitting the gym.